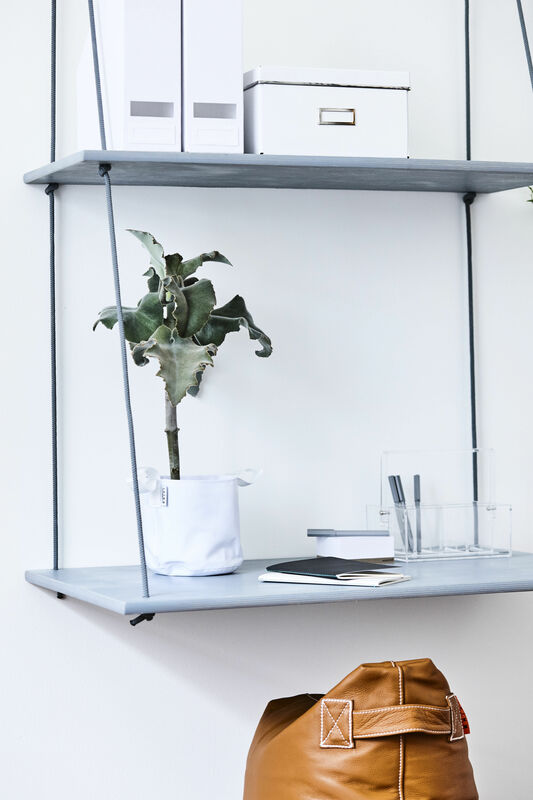 THE HANG DESK is designed by Rikke Gjørlund. 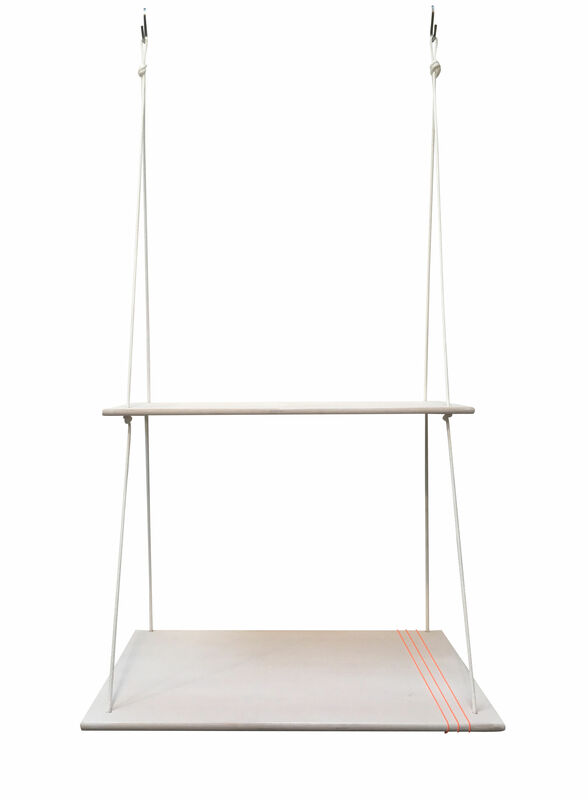 HANG DESK consists of a desk and a shelf in birch veneer connected by a rope. 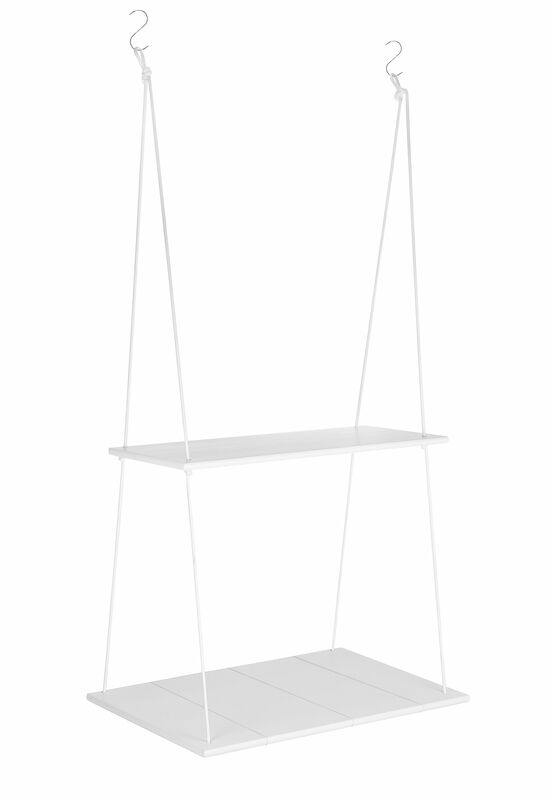 The shelf and the desk are carried by knots on the rope. 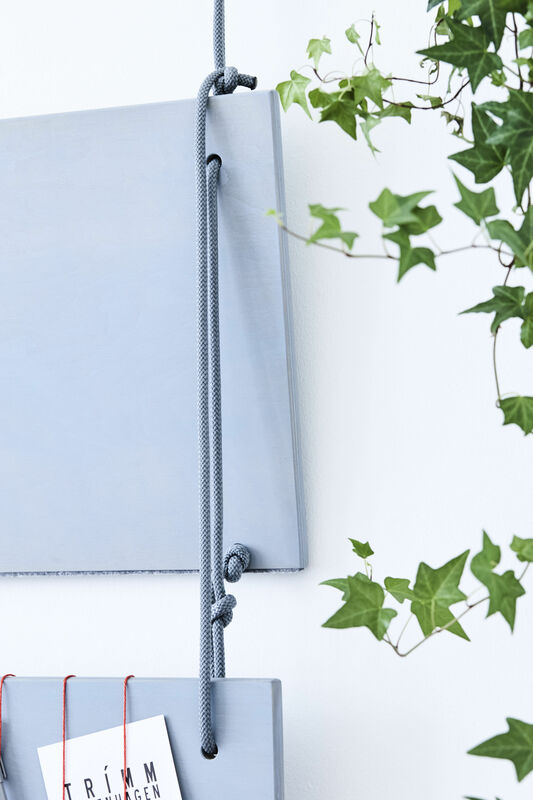 Two brackets in the same color as the table are supplied with the Hang Desk for mounting on the wall. 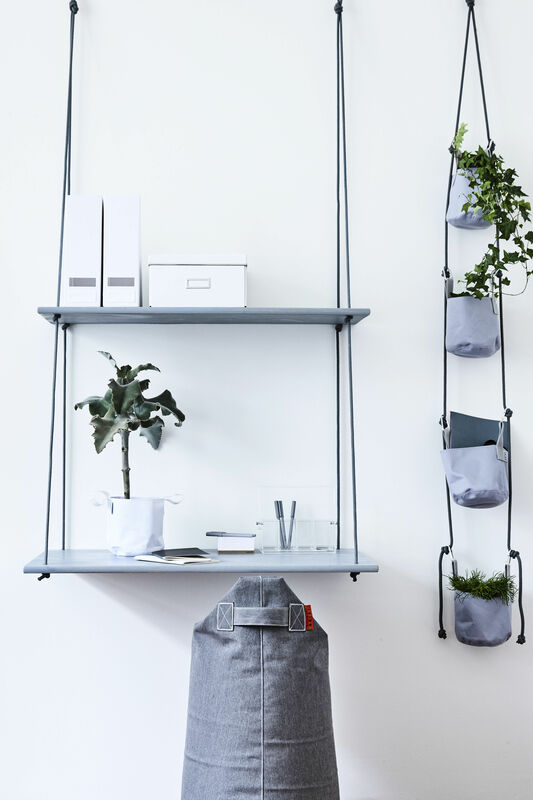 The Hang Desk is space-saving since it can easily be folded up against the wall. 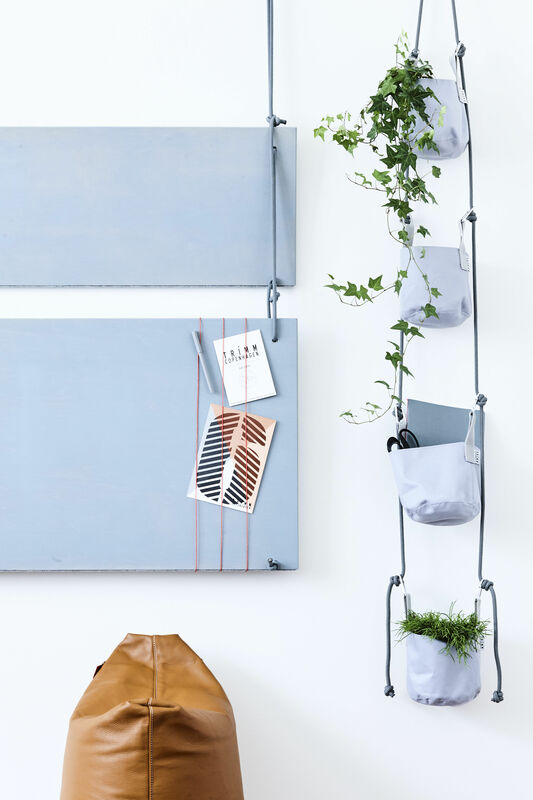 By means of the 3 elastic bands on the desk, it can then be used as a bulletin board. 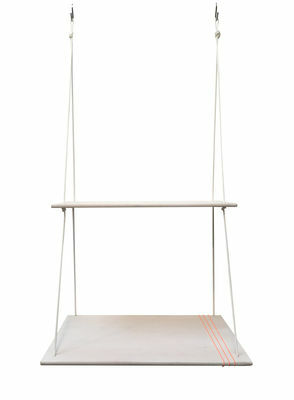 The Hang Desk can be mounted at any height you want and is hence also very suitable for kids rooms.